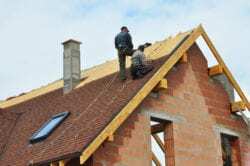 Whether you have a new home which needs a roof or existing roofing that is aging, the expertise of a roofer team is needed. The damage may be minimal or may require a full replacement. In either instance, a prompt response helps to reduce further damage or makes it possible to prevent damage to existing furnishings and structures. 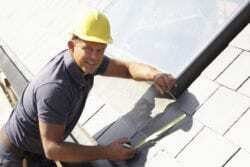 Are you in need of information about a roof contractor in Raleigh? If you need to locate the services of a qualified roofing services team, we can help. RiCal Construction has a team of the most highly skilled and trusted roofing technicians throughout the Raleigh area. 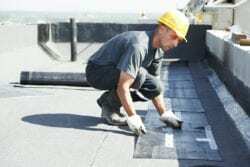 For more than three decades, we have been providing reliable services in accordance with our client’s expectations for exterior roofing and repair projects. We have earned the reputation of becoming a leading name in the industry. We want to help you make your property exactly what you envisioned, without exceeding your specific budget. Our craftspeople are fully trained, certified and enthusiastic about adding a personal touch to our client’s property. We offer on schedule completion to our valued customers. The entire process is cost-effective from beginning to end. We want the final product to exceed expectations. You can depend on our honesty and great value. Our operating principles include integrity, accountability and quality services. Our training and experience include expert classes and education by the top construction firms in the industry. These are inclusive of Atlas Signature Contractor, Certainteed Master Shingle Applicator, GenFlex Licensed, Mule-Hide Certified Installer, and Owens Corning Preferred Contractor. Our services menu includes new roofing, repairs, roof maintenance, and roof installation. Beyond roofing, we do additions such as decks and screen porches, siding and gutters, exterior maintenance and inspections and repairs. We have extensive industry experience and work hard to make the visions of our clients a reality. We want to be your all-in-one general contracting services firm to take care of the property’s construction requirements. Regardless of the size of your project, we have the knowledge, experience, and skills to complete it in a satisfactory manner. We hold a contractor’s license, as well as certified construction industry awareness and North Caroline Department of Labor recognition. When you pick RiCal Construction as your commercial or residential construction contractor, you can be certain unparalleled customer service, from the initial consultation to leaving the finished job site. When you need dependable roof repair in Raleigh, we can help. For additional details, call (919) 771-0207 today!